To kick off my Use It or Lose It campaign to tame my stash of pre-cuts I started with one of my all time favorite collections, Rouenneries by French General. It coordinates perfectly with my decor so I already have a quilt, table topper and a set napkins so this time I went for a wall hanging. I used a mash up of these awesome tutorials by In Color Order and For the Love of George and then adapted them to use a jellyroll. For each cross I cut 2, 2 1/2" squares and a 2 1/2" x 6 1/2" strip and arranged them according to the diagram. 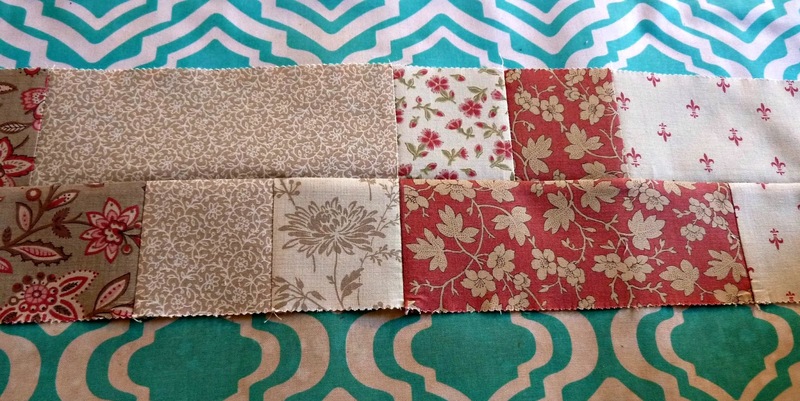 Once it's all laid out it's easy enough to sew together the rows. 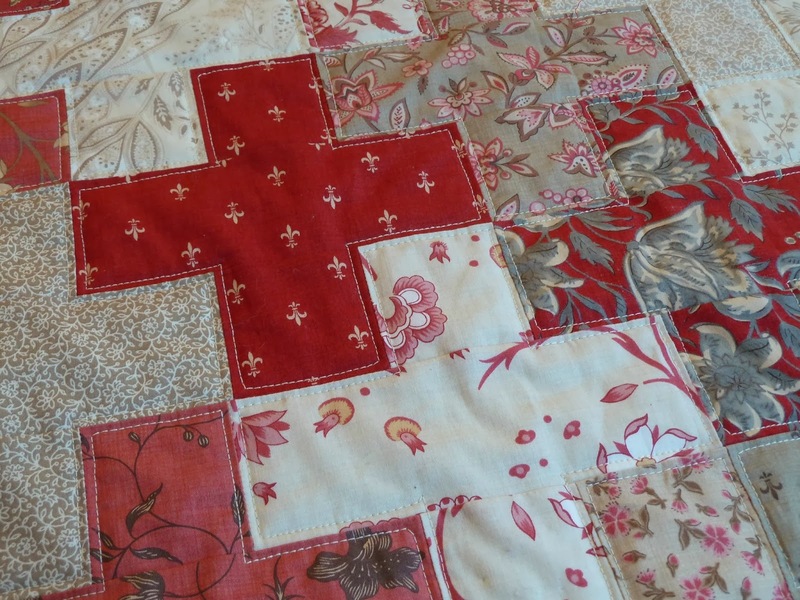 For the quilting I outlined each cross. It was a little tedious with all the starts and stops and turning but I like the finished effect. I used Aurifil grey spool/28 wt to give the quilting a little extra definition. 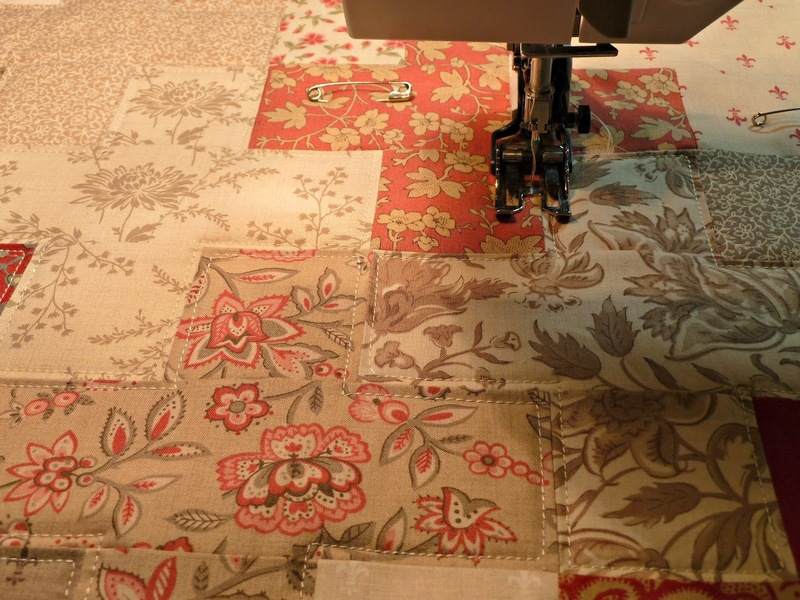 I'm still playing with my scraps but anything not sewn together at the end of the month is up for grabs. Come back next week for a giveway of all my French General leftovers! Finished quilt is 26" x 26"
I agree with Alexis, it looks great in your entrance. What a great little plus quilt! 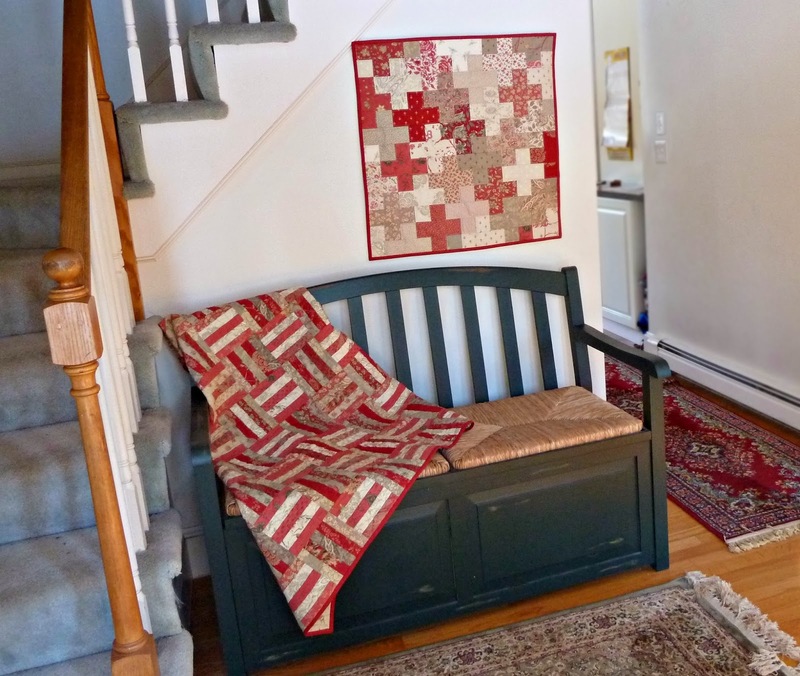 It looks beautiful hanging in your entryway with the rail fence quilt! Great project! I really like these color combinations. And a great project to stay busy during that terrible football game! WOW! you whipped that up pretty quickly. Looking great! 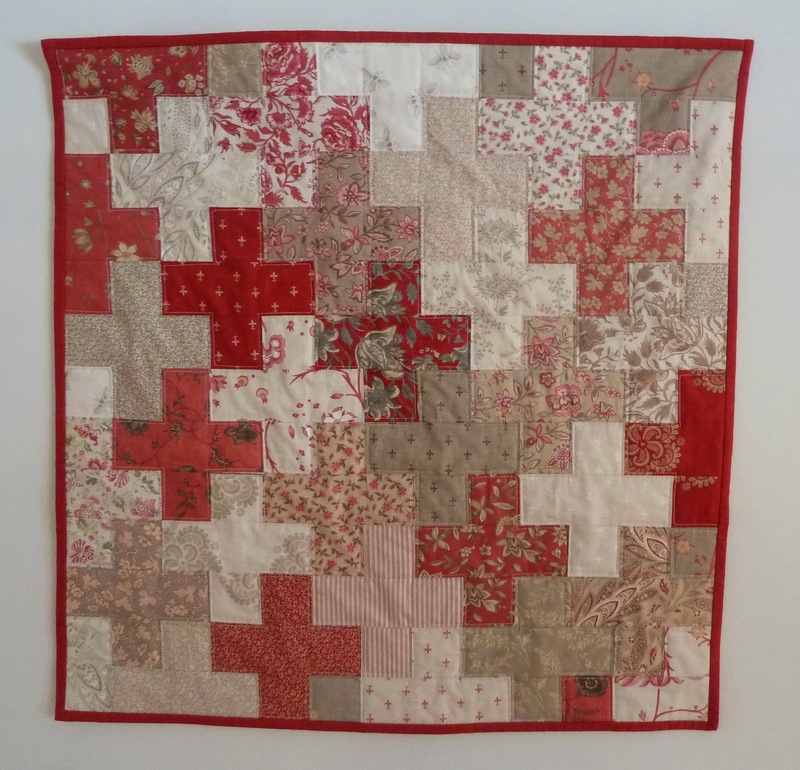 Love your rail-fence quilt too! Beautiful!! Just was working on the same pattern and with browns and pinks. I love this pattern. Gorgeous reds to display in your home!! These look great! I love the two together. I didn't realize how small the quilt was. I really like your plus quilt and it looks so awesome hanging above the bench. Great little area. I also like the rail fence quilt.